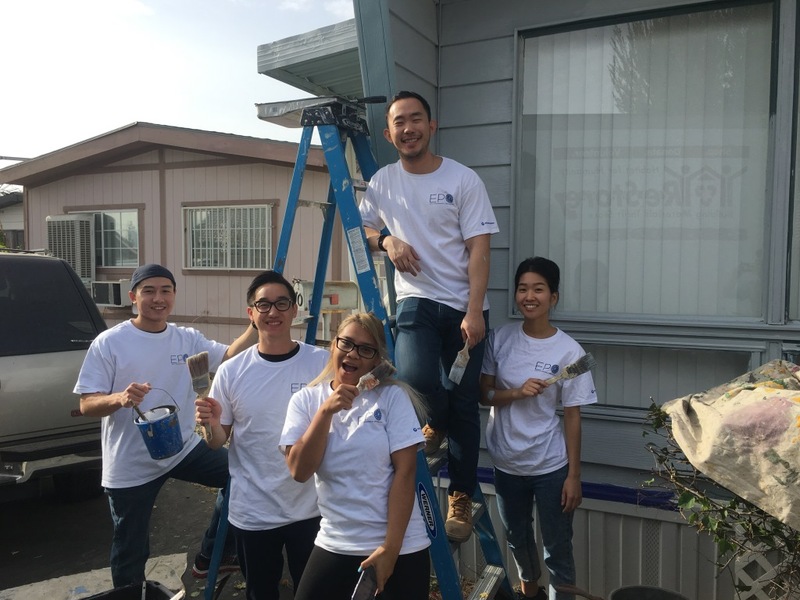 On Saturday, January 6th, 2018, employees from UTC Aerospace Systems went out to Sky Trails Mobile Village in Moreno Valley to paint Barbara’s home. Due to age and exposure, the paint on Barbara’s home had faded and was in need of a fresh coat. To welcome the team of young volunteers, she brought out a box of donuts for them to enjoy before they began working. Undoubtedly, the volunteers were full of spirit. 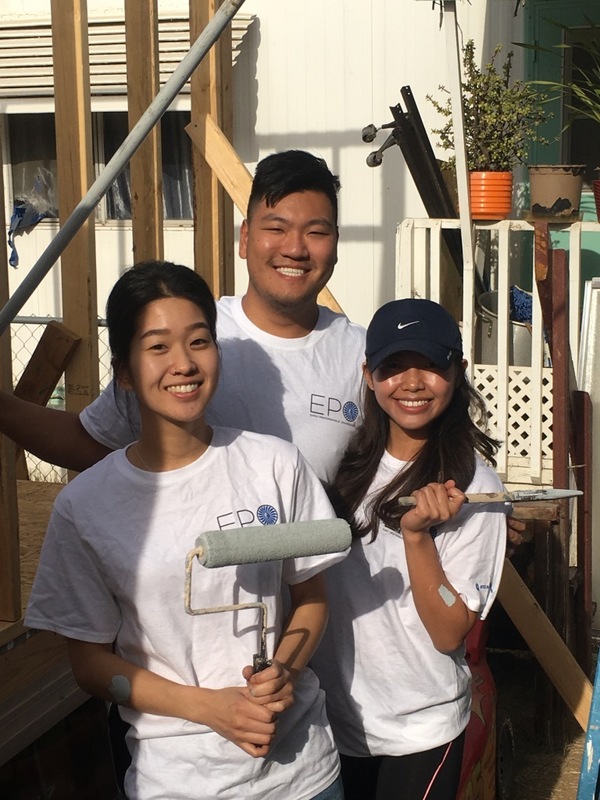 They worked hard together and finished painting the entire home before noon. They even went above and beyond and helped with some landscaping work in front of the home. The bushes needed to be trimmed and cleared because they were beginning to grow into the street. When the project had been completed and the supplies were loaded back into the truck, Barbara came out of her home and expressed her thanks to all the volunteers that helped in restoring the look of her home. She loved it! What a great way to start the new year! 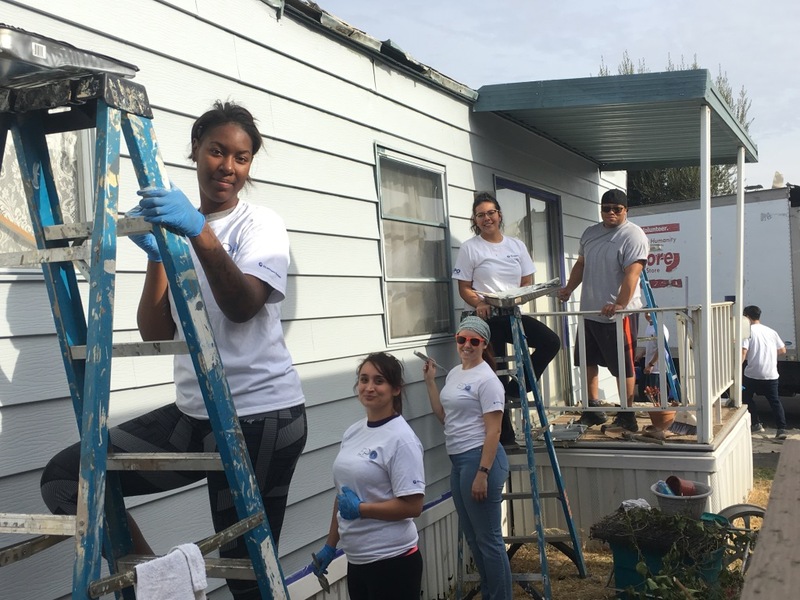 Thank you UTC Aerospace Systems for volunteering to revitalize her home!